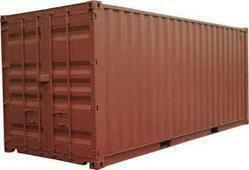 We specialize in selling all types of Used Shipping Container. These can easily be delivered and are apt thing to store and transport your goods. We also offer the same at the most reasonable rates. These containers allow additional ease of access when loading your goods. 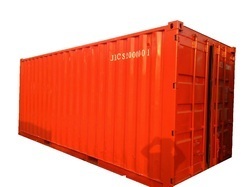 We are selling used shipping containers for domestic as well export purpose SOC (Shippers Own Containers). If you are looking for cheap and best option then choose J K Technologies Pvt Ltd as your supplier. The available sizes are 20x8x8.5 feet (20'GP), 40x8x8.5 feet (40' GP) and 40x8x9.5 feet (40' HC). We supply both second-hand and new cargo-worthy shipping containers in a range of sizes and designs, for sale, on a world-wide basis. Containers modified to your be spoke specification. Unrivalled design, engineering and manufacturing experience. SOC (Shipper's Own Container) in general are Cargo worthy or IICL condition shipping containers which are property of Consignee. With this mode of transport there is no risk of detention and demurrage payments or fees for the exceeded usage of the container. No need to worry about return of the container to the port within a time period specified by the shipping line. The Container after deporting from ship and necessary custom formalities will be the property of consignee and the same can be moved by road/rail route to the requisite destination. 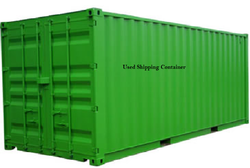 Once the container cargo is unloaded the container may then be used for storage purpose or can be sold in the market. SOC (Shipper's Own Container) in general are Cargo worthy or IICL condition shipping containers which are a property of the Consignee. This mode of transport saves the risk of detention and demurrage payments or fees for the extended usage of the container and return of the container to the port within the time period specified by the shipping line. The container, after it is deported from the ship and necessary custom formalities have been completed, will be the property of the consignee and the same can be moved by road/rail route to the requisite destination. 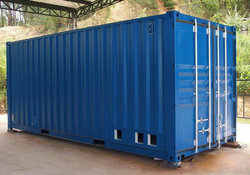 Once the container cargo is unloaded, the container may then be used for storage purpose or can be sold in the market. 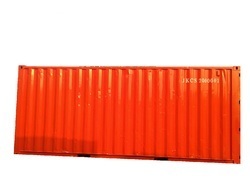 We are also into manufacturing the modern intermodal shipping containers. Through our significant market understanding and profound network, we have always been and will always be able to provide good quality products to our clients at low prices. We feel proud be able to deliver a friendly and reliable service in terms of security of our products as well as storage & shipping containers for hire or for sale to meet your specific requirements. Our knowledgeable and highly experienced team is always there to help and advise you when choosing the best security and storage solution for your needs. We are the leading manufacturers of superior quality ocean containers which are made using a combination of steel and brass with a view to help it withstand the oceans. Through our connections with various shipping lines and logistic service providers, we are able to arrange for on time and hassle free shipping and delivery of the containers. We buy and sell good condition, cargo worthy used shipping containers for both domestic as well as export purposes. We also provide the option of modifying them as per the specific requirements of our clients. These are easy to board and have a very low maintenance cost. These are well-manufactured keeping in view the inclement ocean conditions. We, as an organization, specialize in offering a wide range of shipping containers and are engaged in actively sourcing containers to serve our customers on time. One of our tasks is to provide carriers in which the containers can be delivered without any inconvenience to our clients. The containers that we manufacture are suitable for carrying huge loads and the inbuilt refrigeration units make it possible to maintain the inside temperature efficiently. We value our customers and provide them with a wide range as well as the freedom to choose the container which best suits their requirements. We are well known across the nation for our large distribution network for all types of sea line containers. Our highly knowledgeable staff combined with our ultra-modern manufacturing unit has contributed in making us a renowned provider of shipping containers or modified units. 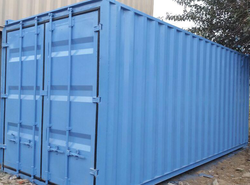 We manufacture as well as modify used shipping containers, made using superior quality steel, which can be used and applied in various forms and can satisfy the demands of a wide customer base across the globe. These are available in many sizes. Apart from this, we have an extensive, nationwide stock of all types of containers. 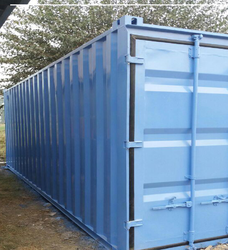 Our Shipping Containers are made using superior quality steel by professionally skilled workers and have a commendable capacity. They have been proved to be perfect for transportation purposes between cities. In an attempt to keep our promise of on-time demand satisfaction, we make efforts to source renovated containers in usable condition from various locations. 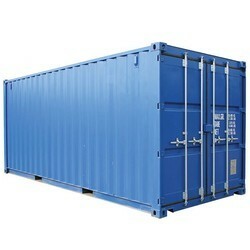 We offer shipping containers in all sizes and types. 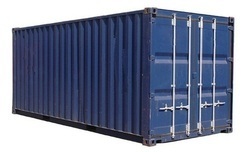 We can also source used shipping containers on a expedited basis for worldwide delivery. We have always strived to provide authentic information as well as service to our customers and attain the same image in the market. We are also engaged in the sale of used shipping containers which are easy to deliver and ideal to store and transport your goods. We offer these containers at competitive, reasonable prices. Also, they provide an added advantage of easy loading and unloading. 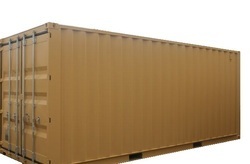 We are also into building dry containers which deliver a high degree of safety and security to the cargo. In order to protect these containers from the extreme temperatures of the oceans, they are made using high quality steel and a blend of brass and aluminium. Originally designed to meet transport needs & constructed to endure long trips at sea, a 40 shipping container is extremely durable & secure & is resistant to wind, water and vermin. 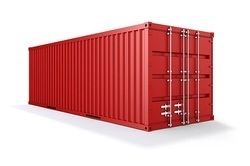 These attributes make a 40ft shipping container an ideal product for strong & safe storage. Ideal for storing excess stock for retailers & manufacturers, equipment for farmers, archives for businesses or just about anything else, our shipping containers are available for delivery today. We deal in manufacturing standardized reusable ISO shipping containers used for the safe, efficient and secure storage and movement of products enabling us to move the containers from one mode of transport to another without unloading and reloading the contents of the containers. The shipping containers we manufacture have standard measurements which can be further merged to form larger structures. These can be modified as per the specific requirements of our clients. Our products are known for high quality standards. We are into the manufacturing of standardized, reusable ISO shipping containers which serve the purpose of safe, efficient and secure storage and movement of products, thus enabling us to move the containers from one mode of transport to another without unloading and reloading their contents.